"Kari: Motif from Sunde." Image: Courtesy of Nikolai-Astrup.no. Unauthorized use is prohibited. 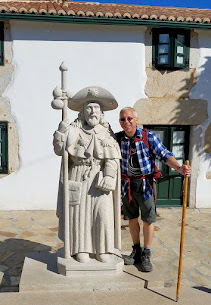 Welcome to July's ArtOdysseys—my ongoing series that unites my love of travel with discoveries in art along the way. This month, we head north to Norway to explore the art of Nikolai Astrup, an early 20th-century Norwegian artist whose brush flows with the essence, the visual romance of Norway. It was a year ago this month when I embarked on my epic voyage through the fjords but only recently did I become familiar with the remarkable work of Nikolai Astrup. It was love at first sight when I saw his magnificent paintings, instantly I was transported back to the idyllic splendor of Norway through his extraordinary talent to immerse his viewers into his surroundings. When you see his work below, I think you'll agree. It's no surprise Nikolai Astrup, "the artist of western Norway," is one of country's most beloved. Portrait of Nikolai Astrup by Henrik Lund circa 1900. Image: WikiMedia.org. There's something indescribably enchanting about northern European landscape painting that captivates me, immerses me into these foreign lands of a different time and place. Astrup is no exception. Actually it was during my visit to the Mauritshuis in The Hague when I first viewed the works of Aert van der Neer as well as Avercamp and developed a new-found affection for their uncanny ability to capture idyllic countrysides, pastoral settings and scenes of everyday life—in a small village on a frozen lake, under the moonlight, at work in the field—among others. Astrup shares their talent but it's his love of Norway that extends beyond the canvas, filling you with a yearning, an aching, a longing to be a part of his world. It was because of his love of Norway that the majority of his motifs were inspired by the place where he spent most of his life—Jølster. And my travels took me within 20 miles (32 km) of his home so to illustrate just how beautifully he inteprets and renders his western Norway surrounds, I'll pepper in some of my own photos for comparison. So, in the spirit of celebrating Norway, I want to pay homage to an artist who embodies all that beautiful in the land of Norway. Born in 1880 in the town of Kalvåg in Bremanger, Nordfjord, Norway, Nikolai Astrup is the firstborn of a local pastor Christian Astrup and his wife Petra Constanse née Lodtz. After three years, the family moves to Ålhus, Jølster, where Astrup would spend most of his life re-creating the beauty of the landscape. Much to his father's chagrin, he begins to study art in 1899 at the Royal College of Art and Design in Kristiania (Oslo today) under the guidance of naturalist painter Harriet Backer. It was during this time when he first encountered the work of Arnold Böcklin so much so that he named his first son after him. While in Oslo, he held his first solo exhibition to rave reviews. 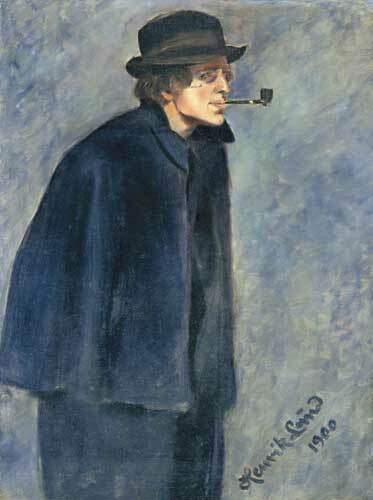 Later, he moves to Paris to study under Christian Krohg at Académie Colarossi where he becomes interested in the works of Henri Rousseau, Maurice Denis, Paul Gauguin and Katsushika Hokusai. In 1902, he returns home to Jølster with glowing recommendations from Krohg who stated, "I believe he will be the one who will most successfully elevate the position of Norwegian art, both at home and abroad." 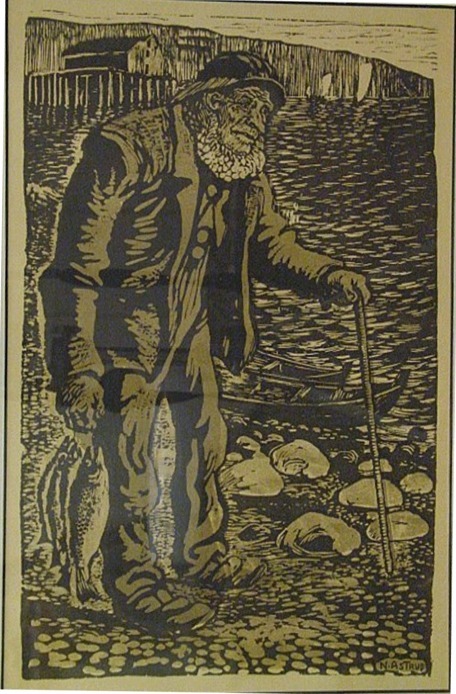 "Gammel Fisker" or "Old Fisherman" woodcut print. Image: WikiMedia.org. In 1904, Astrup begins to experiment with woodcuts and printing. For the next fews years, he exhibits more of his work in Olso and Copenhagen and marries his true love Engel Sunde on the day before Christmas Eve in 1907. After a trip to London where he discovers the work of John Constable, he returns to Bergen for his second solo exhibition and his third, also last, in Oslo in 1911. That same year, his first child Kari was born and you'll see her in some of the works below. In 1914, he moves to Sandalstrand and first son, Arnold Böcklin Astrup, is born, named after the artist who first inspired him 15 years ago. Six more children would follow before his untimely death in 1928 from pneumonia at the age of 47. But his legacy lives on, and he too, in all of his work! Of all the artists who inspired him: Arnold Böcklin, Henri Rousseau, Maurice Denis, Paul Gauguin, Paul Constable and Katsushika Hokusai—among others, it was John Constable who had the greatest influence as you'll soon see below. While impressionism was starting to make its own impression on the art landscape, Astrup clung to his romantic style setting him apart from the rest of the artistic landscape with his unique and exceptional talent to convey his love of his cherished homeland. 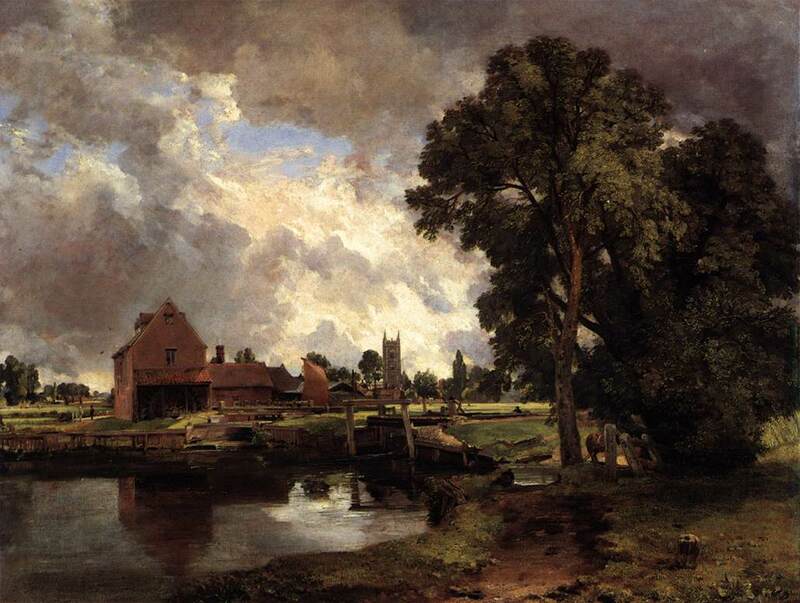 "Dedham Lock and Mill," oil on canvas, 1818 by John Constable. Image: Web Gallery of Art (WGA.hu). I've selected my personal favorites and will present them in chronological order. "Kjerringa Med Lykta" or "Old Woman With Lantern." Image: WikiMedia.org. One of his earliest works still on view harkens back to a time when Astrup couldn't afford a proper canvas so he improvised with denim for three of his earliest works, chief among them is the "Old Woman with a Lantern." Look to the top of the image and you can discern the horizontal seam from his trouser leg. 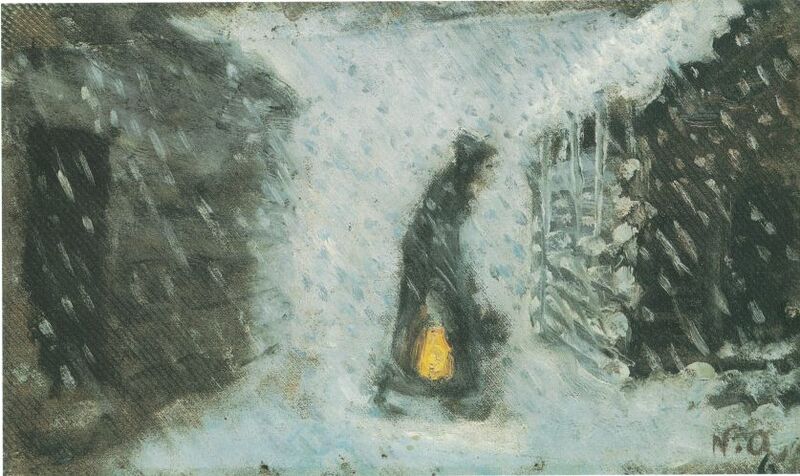 Astrup re-creates a snowy evening in wintertime as an old woman hurries her way between the houses. Daggers of icicles hang from the roof bearing testament to the cold and snowy Norwegian winter. Surprisingly, the sides of this lantern were not made of glass but of the skin of an animal bladder. "The Vicarage." Image: Courtesy of Nikolai-Astrup.no. Unauthorized use is prohibited. 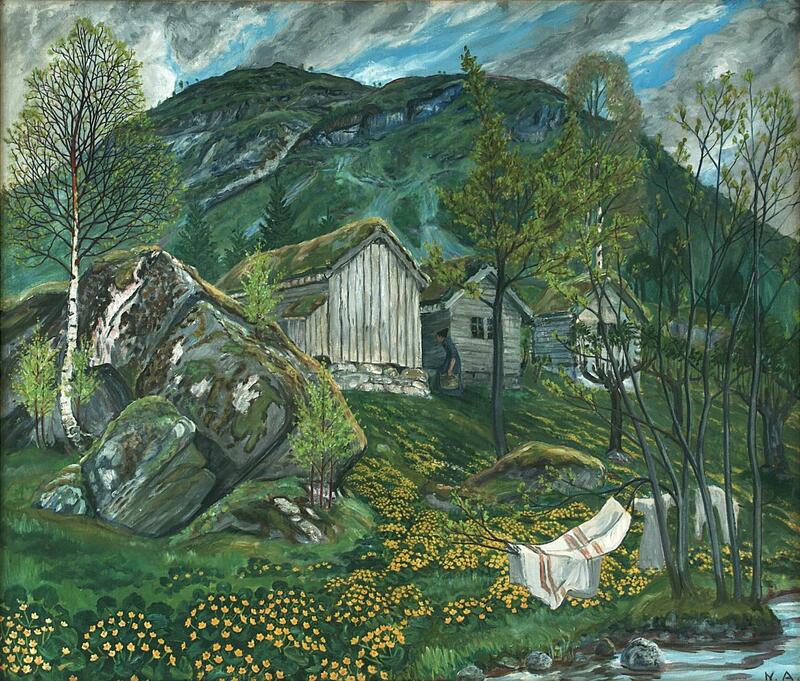 One of his most photo-realistic paintings, the Vicarage shows us where Astrup spent much of early adulthood. Look at the reflections in the glass and you would swear you were looking at a photograph. 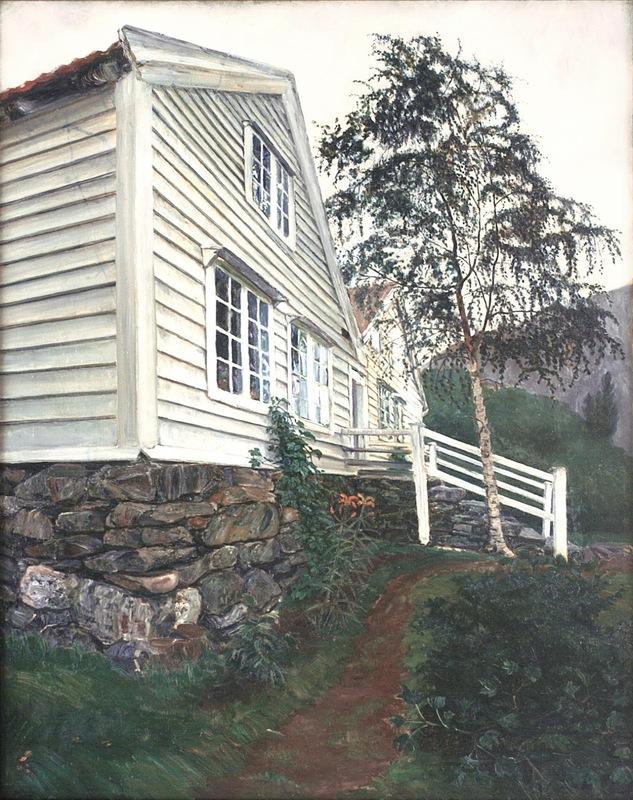 Actually, striking details can be found throughout this painting: the creeping ivy climbing the front façade, the rocks in the stone foundation convey a multitude of earthen colors, the birch tree leaning ever so slightly toward the clapboard house, the dirt path that leads us up and into the frame. But what's even more extraordinary is Astrup's mastery of depth of field through his meticulous blending of realistic effects with rougher brushstrokes in the background. 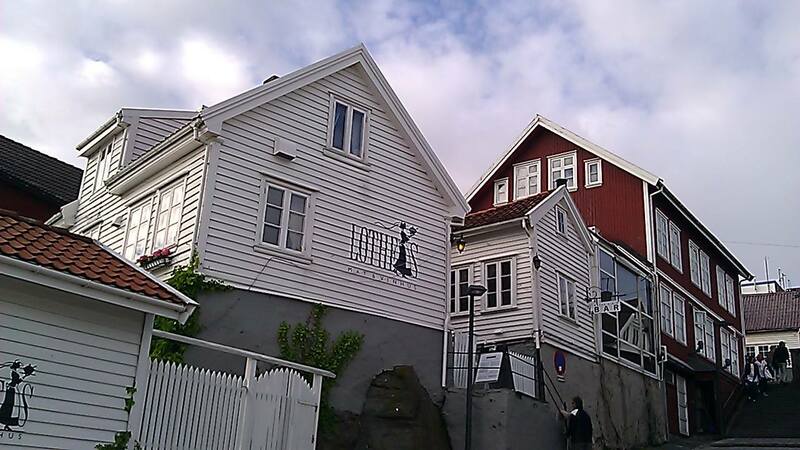 Note the similarities in the clapboard-style architecture in "The Vincarage" image and this photo of the Lothes Mat & Vinhus in Haugesund, Norway. Photo: EuroTravelogue™. Unauthorized use is prohibited. It's springtime in Norway and the field of buttercups are in full bloom beneath the cascading waterfalls of Kleberfossen or Kleber Falls. Lying at the center of the picture is the klyngetunet—a cluster of 16 log buildings that were located above the vicarage where Astrup lived in early adulthood. Among his favorite subjects to paint were the fields of buttercups because of the fact that they do not close after sunset, appearing as small lanterns to light the way through the Norwegian countryside. Here, they lead us up to the old houses and to the two small figures barely seen at the left of the housing cluster establishing astonishing depth of field in the painting. "Klar Juninatt" or "Clear June Night." Image: WikiMedia.org. Now, brace yourselves for a most startling, almost haunting foreground element of this composition—two mysterious shadows looming over the landscape as if the sun were shining behind two figures walking in the foreground. Their contours are most evident in the green slope just below the houses toward the left and once you find their heads, follow the shadows down to the water's edge. Such a fascinating component to this work. I was quite startled when it was pointed out to me. Why did Astrup omit the figures? Humans seldomly occupy any of Astrup's pieces, save "Rhubarb" below, and had they been included, they would have compromised the panoramic view that Astrup intended for the viewer. 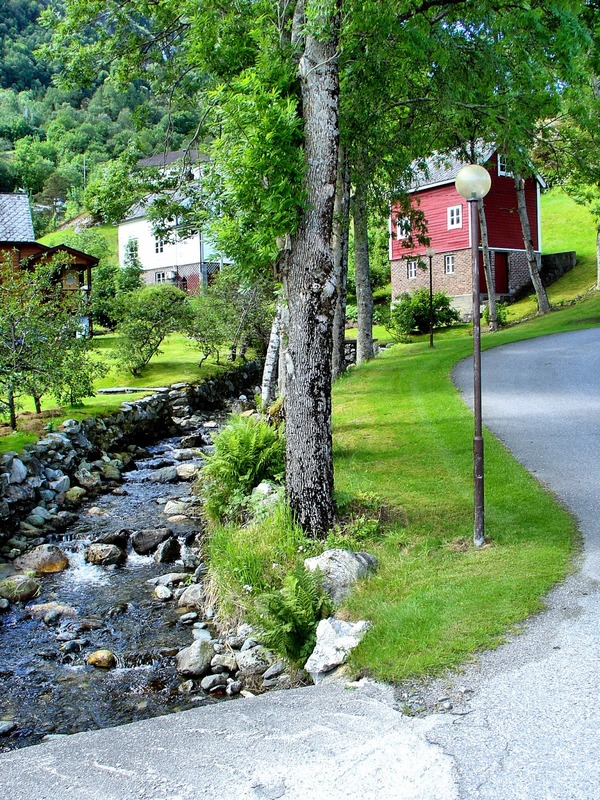 The idyllic countryside of Balestrand, Norway. Photo: EuroTravelogue™. Unauthorized use is prohibited. 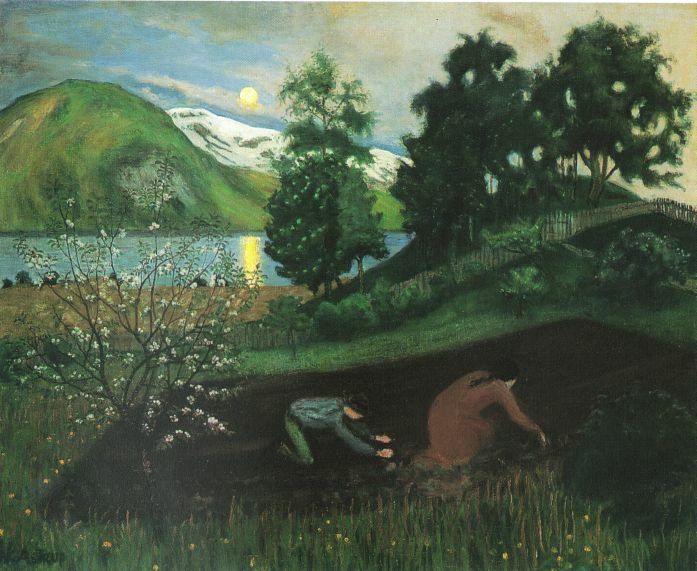 "Vårnatt i hagen" or "Spring Night in the Garden." Image: WikiMedia.org. The full moon is rising beyond the mountains laden with snow as two villagers tend to the garden at the vicarage where Astrup lived out part of his earlier life. In the background, we see Klauva, the highest peak no longer covered in snow. What I love about this image is that it's so atmospheric; re-creating the stillness of the night, the isolation of the workers and the land, alone in the Norwegian landscape. According to Norwegian folklore, harvests are more bountiful when plants are tended and cultivated under a full moon's light. "Motif from a Danish Farm." Image: Courtesy of Nikolai-Astrup.no. Unauthorized use is prohibited. Although this is clearly not Norway, I just had to include it in my collection for this glimpse into life at the Astrup Farm grinding mill in Schleswig, Denmark, home to Astrup's ancestors. 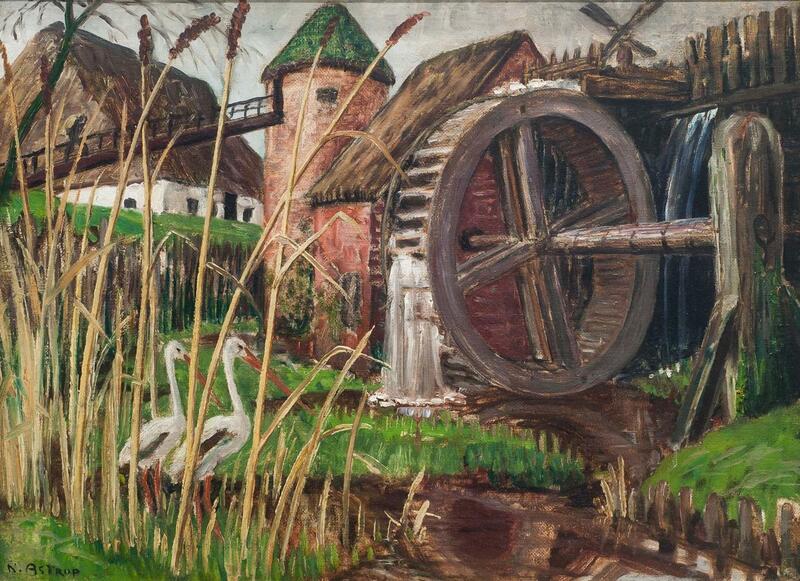 Astrup was fascinated by the wheel because it differed in appearance from those found in Norway at the time. As you you can see, this one is positioned vertically with water flowing from the top while in Norway, the wheels are placed horizontally. Nonetheless, he highlights how crucial harvesting and grinding grain were as means of life. 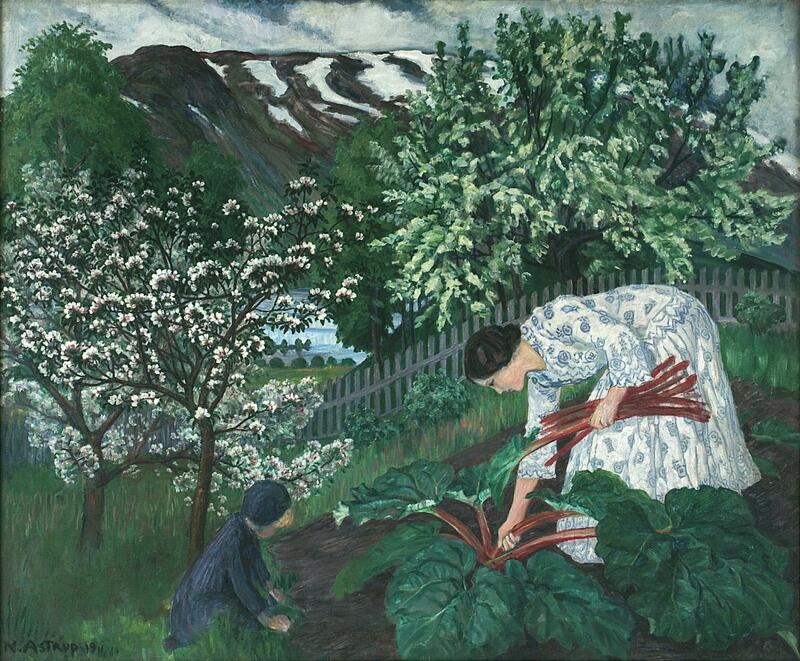 "Rabarbra" or "Rhubarb" shows Astrup's wife Engel picking crisp stalks with her child, most likely Kari. Image: WikiMedia.org. It is here Astrup's lovely wife Engel appears picking crispy stalks of rhubarb with one of her children, most likely Kari, in her garden in Sandalstrand. Kari pauses at the garden's edge, unsure if she should proceed any further. Behind the child is an apple tree in full bloom with its flowers sculptured in the white and pink hues. Astrup once again displays his mastery at depth of field by slightly blurring the background cherry tree to the right, painted in much broader strokes, and the mountains in the background while sharpening the focus on foreground and the apple tree. Hints of the fjord can be seen between the two figures. "Kvennagongsvatn" or "Millstream." Image: Courtesy of Nikolai-Astrup.no. Unauthorized use is prohibited. Astrup actually created many versions of this scene in a variety of woodcuts and canvases, one version is even reversed but they all convey the same glimpse into the bygone days of Norwegian culture and history at the turn of the 20th century. In contrast to much of his work, this painting is ablaze in the vibrant warmth of autumn colors and I think that's why it's among my favorite pieces. Father and son hike up cascading streams to the millhouse to grind the grain he carries on his back. But we also see the workings of the millhouse and the flumes carrying the water to the wheels to grind the grain. 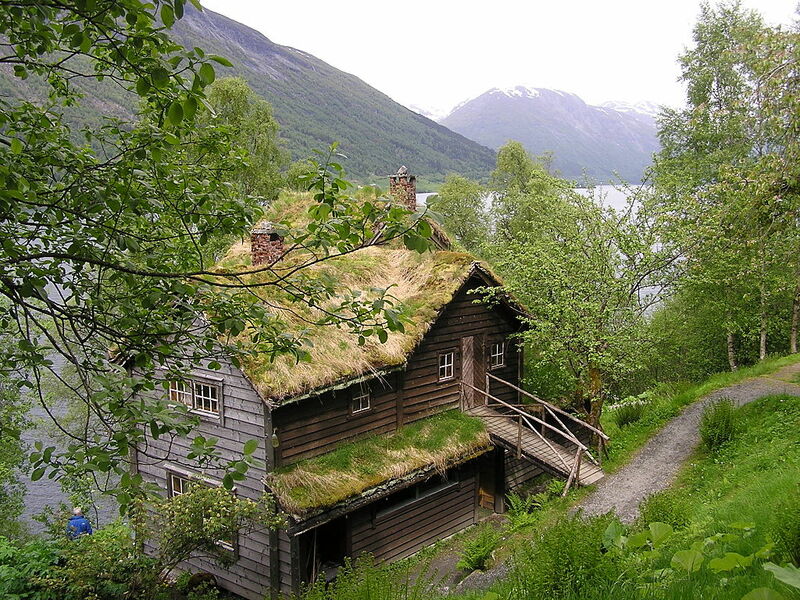 On the way to the Hardanger Folk Museum in Utne, Norway. Photo: EuroTravelogue™. Unauthorized use is prohibited. 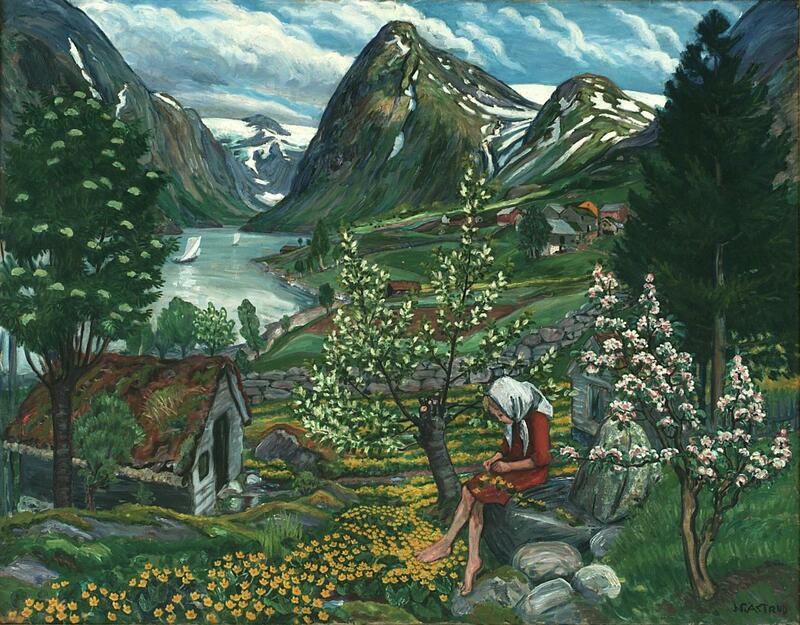 Astrup paints his daughter Kari who was seven years old at the time, into this quintessential Norwegian landscape, actually the village of Sunde, where his wife Engel grew up. It's late spring and the buttercups and blossoms are bursting with new life as Kari crafts a flower wreath upon her stone seat. 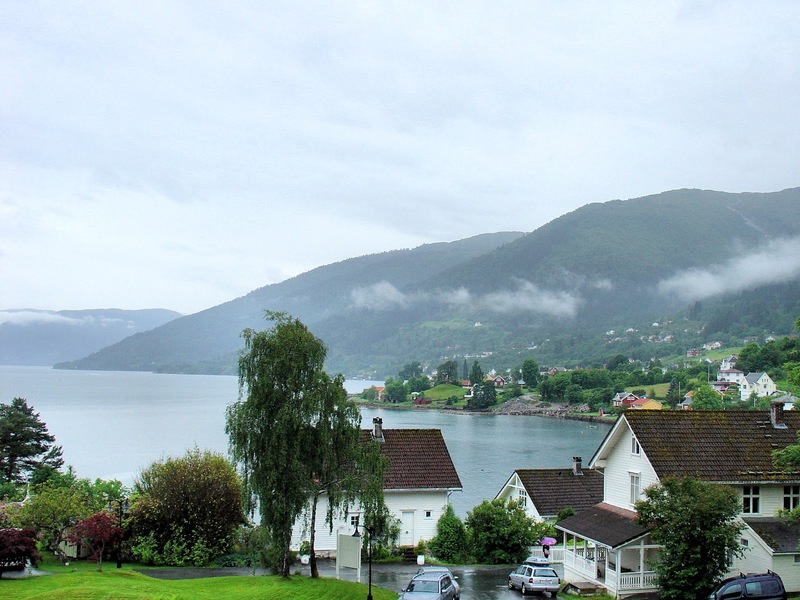 The enchanting village of Balestrand, Norway. Things haven't changed much since Astrup's time. Photo: EuroTravelogue™. Unauthorized use is prohibited. "Spring Mood by Old Cotter's Farm." Image: Courtesy of Nikolai-Astrup.no. Unauthorized use is prohibited. Once again, it is spring in Norway and the waterfalls are thundering down the mountains into the fjords below. As in the Kari motif mentioned above, not only are we in Sunde again, but buttercups lead the way into the landscape, past the hanging laundry drying by the water's edge, up to woman carrying a bucket near the house. Look to the right and you'll find the "willow goblins," pruned willow trees that are commonly found in many of Astrup's pieces. "Apple Tree in Bloom." Image: Courtesy of Nikolai-Astrup.no. Unauthorized use is prohibited. One of my favorite works and sadly, one of Astrup's last compositions, "Apple Tree in Bloom" perfectly captures the romantic views of Sandalstrand, now known as Astruptnet. Look first as the painting and then at the two photos below showing you the property today. Astrup purchased the dilapidated cotter's farm in 1912 and transformed it into his home by the mid-1920s. 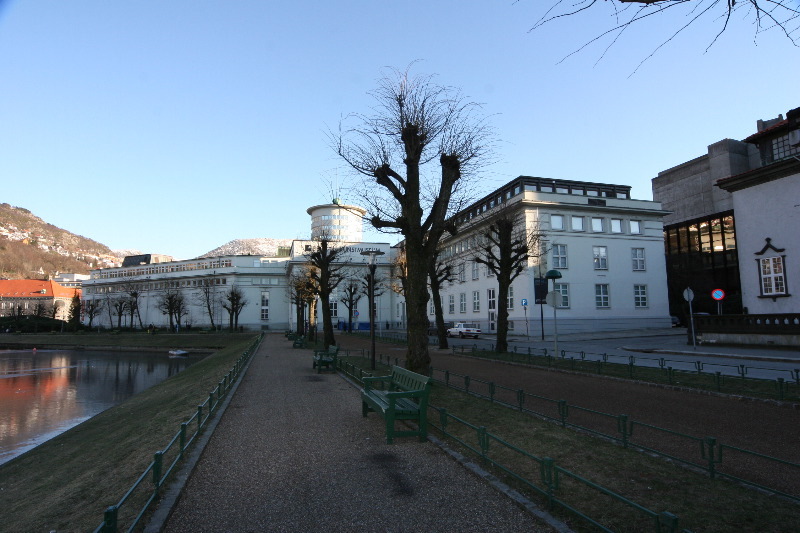 In 1965, the Municipality of Jølster purchased the property and converted it into a permanent museum showcasing Astrup's work. View of the Hardangerfjord or Queen's Fjord in Utne, Norway. Photo: EuroTravelogue™. Unauthorized use is prohibited. 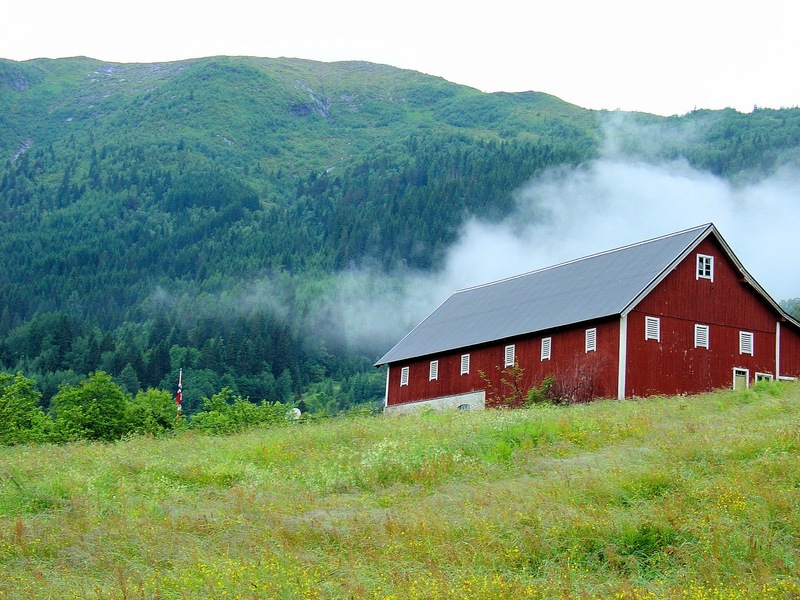 Welcome to Astruptunet, the one-time home of Nikolai Astrup. Today, the cotter's farm building houses the museum and art gallery dedicated to the works of the artist. Photo: WikiMedia.org. 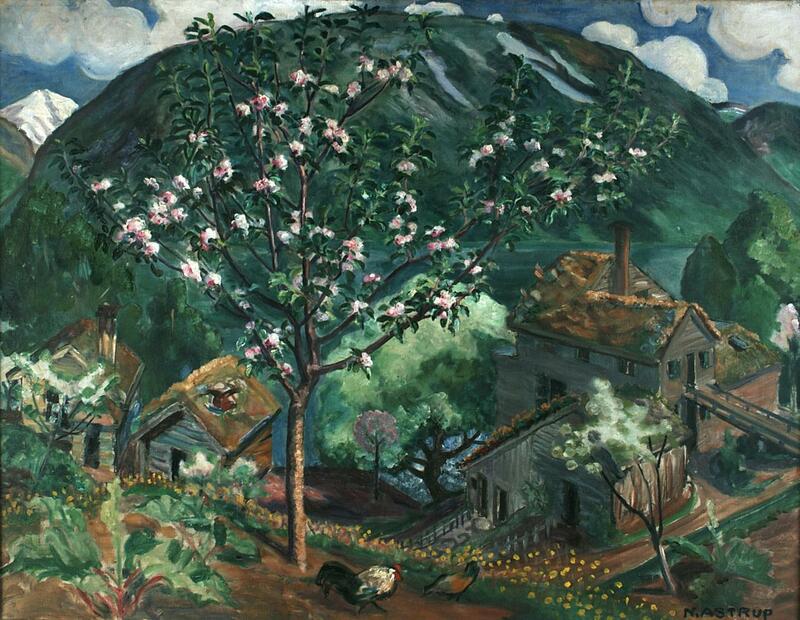 Here is Astrup's painted version of Astruptunet in his painting "Apple Tree in Bloom." Image: Courtesy of Nikolai-Astrup.no. Unauthorized use is prohibited. 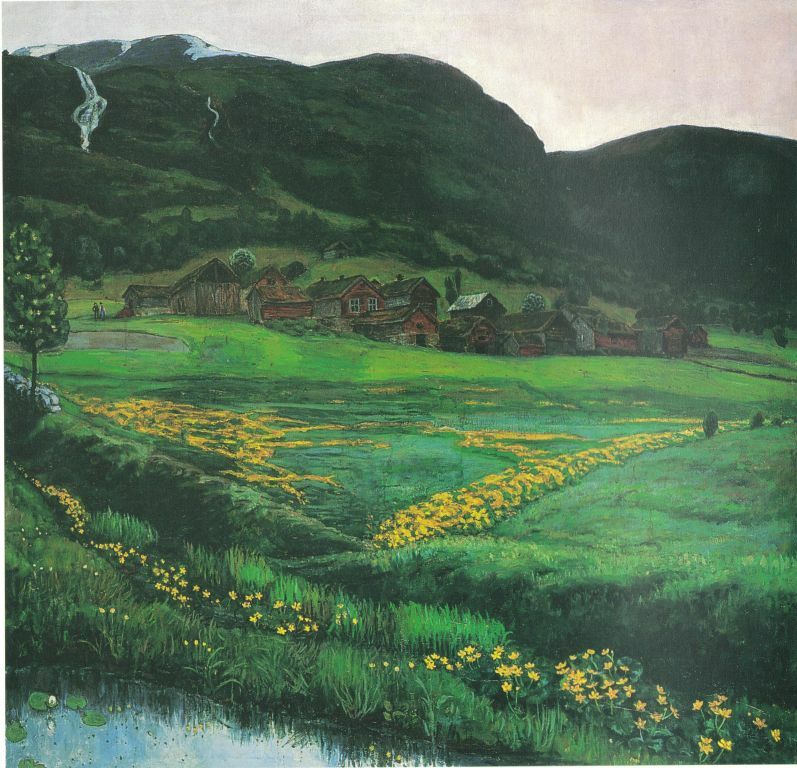 In 1965, the municipality of Jølster purchased Astrup's homestead to convert it into a museum showcasing the artist's works in the place where he painted most of them, the Astrup Farm or Astruptunet on the slopes of Jølstravatn. Although the original barn was razed, it was rebuilt in the same style and today, houses the museum and art gallery. Inside, you'll find paintings, graphics, woodcuts and sketches by the famous Norwegian artist. Find out more about Astruptunet at sfk.museum.no. Nikolai's studio at Astruptunet. Photo: WikiMedia.org. Lysverket Building in Bergen. Photo: WikiMedia.org. 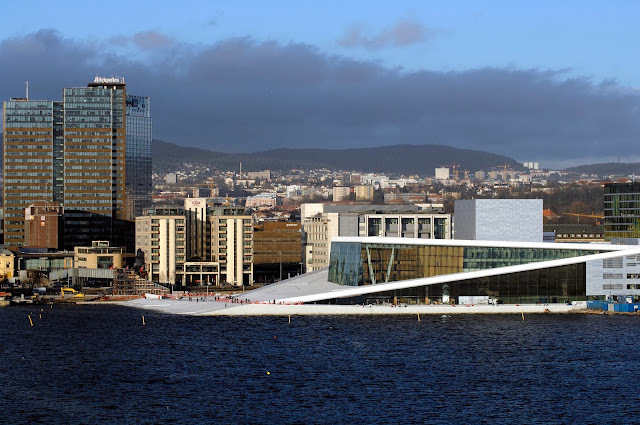 If your upcoming travel plans include a stop in Bergen, Norway, then you're in luck because there's a special Astrup exhibition at the Lysverket building in Rasmus Meyers allé 9 made possible by the DnB NOR Savings Bank Foundation. The exhibition includes paintings, prints and drawings. They even have an app that shows exactly where Astrup found his motifs. Visit Sparebankstiftelelsen.no for more information. See more, if not all of Astrup's work here: Nikolai-Astrup.no/en . How very charming! So nice to see the land you just visited represented in art form. Beautiful! Hi there Marlys!! I couldn't agree more with you my friend! His wonderful artistry really captures Norway's magic! Thanks so much for stopping by! I've always loved impressionist art but was unaware of this incredibly talented painter until today. I was introduced by the Gamle Norge. 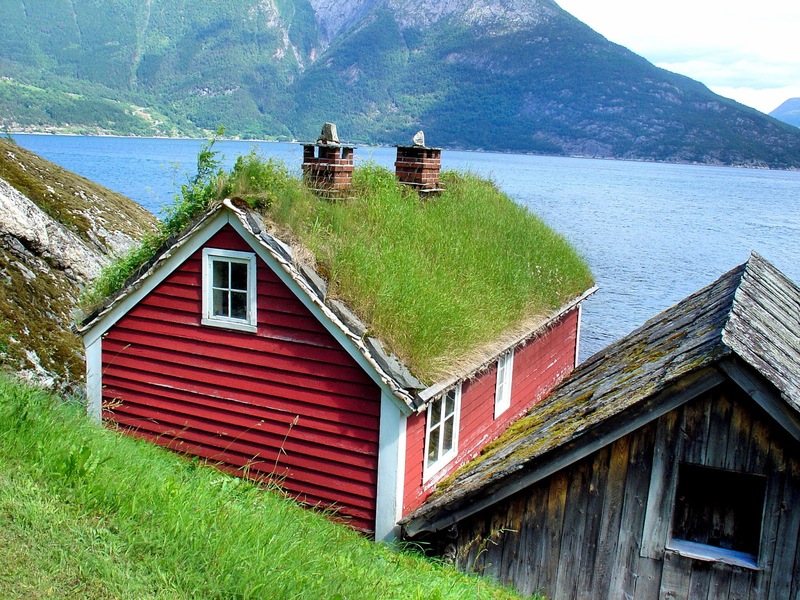 I lived in Norway for 2 years as a kid and he captured the culture and landscape so beautifully. I have also been a fan of Rouseau so find it interesting, this inspired him as well. Thank you for posting. Hi Anonymous and thank you so much for stopping by! I only recently discovered Astrup in 2014 when I wrote this article because of the instant love for his style and his gifted hand! Having visited Norway twice now, I completely agree that he captures the essence of the landscapes brilliantly. Thank you again for sharing your thoughts. Comments like these make my day! Hi Sophie! So glad to hear there's another fan of Astrup out there!! His work truly is extraordinary!! Thank you so much for stopping by and sharing your comments! Thank you for the introduction to an artist that I was not familiar with! I particularly like the painting that depicts his daughter making a flower wreath with the gorgeous fjord in the background - it's just lovely! I couldn't agree with you more Lisa!! 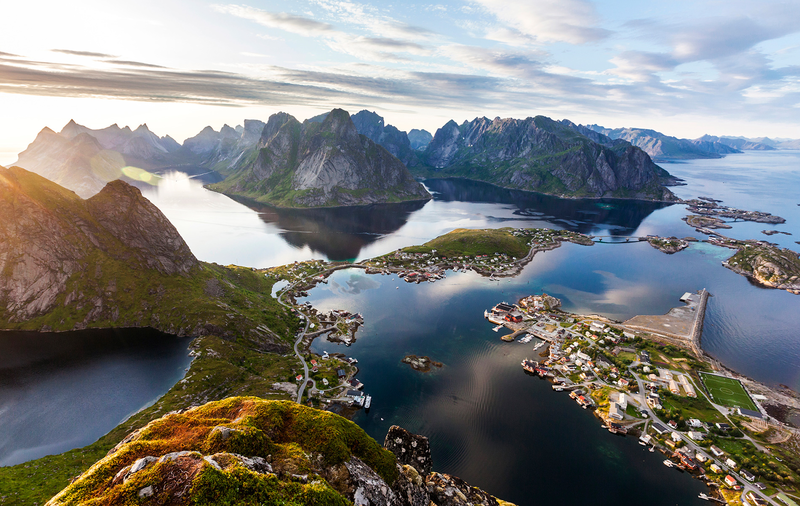 That one is especially beautiful, so bright and sunny and full of the essence of Norway! Thanks so much for stopping by and sharing your thoughts! Very touching paintings, Jeff. They really do take you back to a place and time. Too bad he died so young, I'm sure he would have added more to his body of work and perhaps achieved international fame. Wonder if his father lived long enough to attend any of his exhibitions. Do you know if any of his children become artists themselves? That denim painting is in fantastic condition, it must be worth a fortune now. Thanks for the intro. Thanks so much for stopping by Marcia! Truly, these painting are extraordinary! I am not sure whether his children had become painters too, but it's worth checking into for sure! I couldn't believe that was denim either, fascinating!! Those paintings are absolutely stunning, love it. These paintings make me want to visit Norway even more, so beautiful. Hi there Freya! 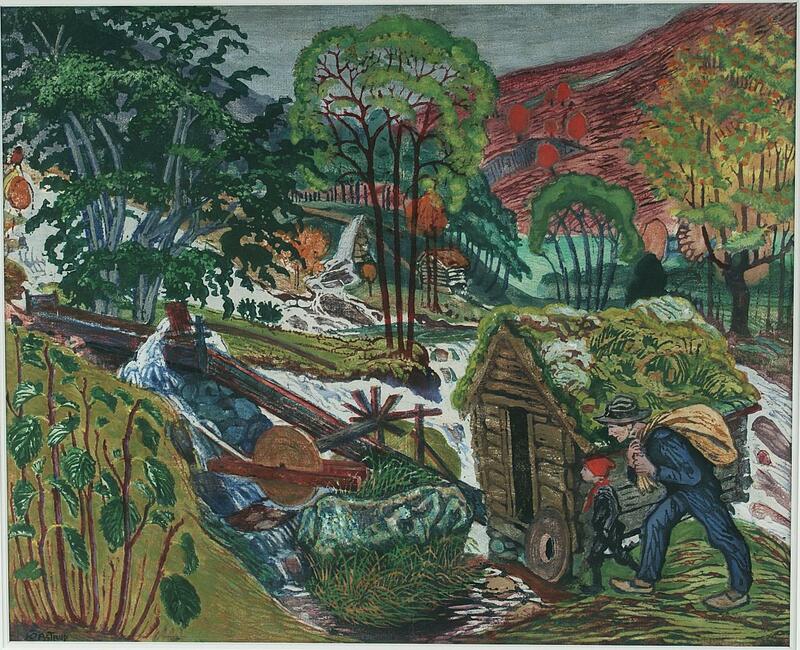 That is precisely the reason I fell in love with Astrup's work because I've seen the beauty of the Norwegian landscape and can personally attest to his talent for capturing the essence in all of work!! Thank you so much for stopping by and sharing your thoughts!! Jeff! You did it again! I am truly stunned with this post! Especially with putting together pictures and photos showing a similar site (if not exactly the same!). It shows the mastery of this artist. Thank you for sharing info on Scandinavian artists! Hi there Agata! I am so honored by your compliments!! Thank you very much! I was just as stunned by the beauty of his work when I first saw it about six months ago! I just love how he immerses you into the settings! Thank you for stopping by and sharing your thoughts! I can see why you fell for this artist. And it's the sort of landscape that speaks to me too. II like the way you've interwoven your own landscape photos with the art work. Interesting how parents so looked down upon art as a career - though I guess some still do - and painting on denim is an interesting way to recycle. I love it. Thanks so much for stopping by and for your kind compliments too! Such a shame parents often look down upon art as a career because it's so risky...what they don't understand is that art, in whatever form it takes, is the life force within all artists. To survive, they must create whatever the cost. The denim surprised me too but to my point, leverage all you can to practice your craft. Thank you again for kind compliments too! Wow-love this post, Jeff! Astrup really captures the landscape of Norway. It's uncanny how much his paintings resemble your photographs. And his painting of the Vicarage is amazingly photographic. Thanks for introducing me to Astrup and his art! Hi there Lesley!! I have been waiting for you to see this post since we first discussed last week. I fell in love with Astrup's work the first time I was introduced to one his pieces and since then, I have wanted to research more and find out all I can. I am so glad you enjoyed the piece and even more so to have introduced you to Nikolai! I just love it!! Thanks so much for stopping by and sharing your thoughts! Very beautiful paintings and gorgeous photos. Thanks for introducing me to Norway art. Hi there Ted and thanks so much for stopping by. Glad you enjoyed your meet n greet with Nikolai! He's truly exceptional! I'll say, these are absolutely beautiful! I had not heard of him and now I'm a real fan. Hi Charu! I couldn't agree with you more! I fell in love with Astrup's work when a friend introduced me-it's fabulous! Thx so much for stopping by and sharing your thoughts!